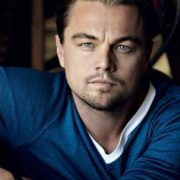 Leonardo DiCaprio is an American actor and producer. 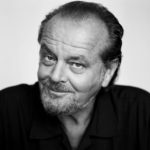 He was nominated for Oscar for Best Actor four times in the films The Aviator (2004), Blood Diamond (2006), The Wolf of Wall Street (2013) and The Revenant (2016), as well as for best Supporting Actor in the film What’s Eating Gilbert Grape (1994). He was four times BAFTA nominee and got eleven Golden Globe nominations. In 2016 he finally won Oscar for the Best Actor as well as BAFTA for his role in the film The Revenant. 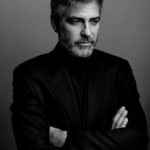 The actor was also nominated for Saturn, Screen Actors Guild Award and Sputnik awards. 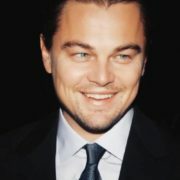 Leonardo Wilhelm DiCaprio was born on November 11, 1974 in Los Angeles. Leonardo is the only child of comics creator George DiCaprio (born on November 30, 1943) and secretary Irmelin Indenbirken (born in 1943). His mother was born to German Wilhelm Indenbirken and Russian emigrant Helena Indenbirken (1915-2008, born Elena Stepanovna Smirnova) in West Germany. In 1955, William and Helen emigrated to the United States. 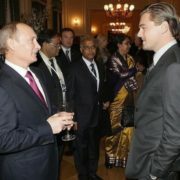 In 2010, Leonardo said to Russian president Vladimir Putin that he was a half-Russian. The future actor was named after the great artist Leonardo da Vinci. 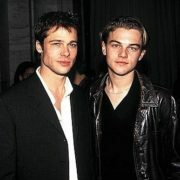 When Leo was a year old, George and Irmelin divorced, and the boy stayed with his mother. 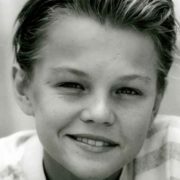 2.5-year-old Leo first appeared in front of the camera when his father took him to a popular children’s television show. 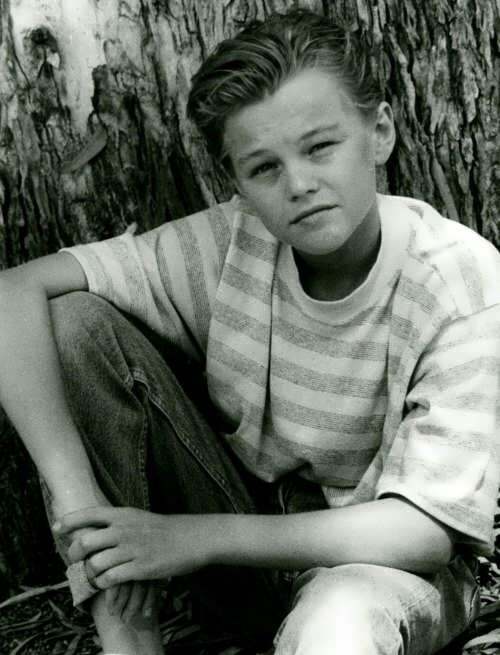 At the age of 14, DiCaprio decided to become an actor. He found an agent who liked his haircut, and his name. He appeared in over 30 commercials and several TV series Santa Barbara, The New Lassie, Roseanne and others. His film debut was in the comedy horror film Critters 3. Since 1991, he starred in the TV series Growing Pains, but soon left it to star with Robert De Niro and Ellen Barkin in This Boy’s Life. 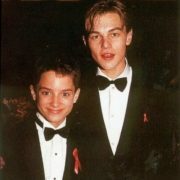 In 1993, he along with Johnny Depp played in the drama What’s Eating Gilbert Grape. 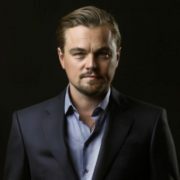 For his role DiCaprio was first nominated for Golden Globe and Oscar. In 1995, DiCaprio together with Sharon Stone, Gene Hackman and Russell Crowe played in Sam Raimi’s western The Quick and the Dead. 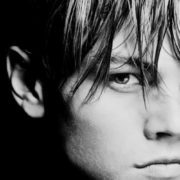 DiCaprio played in the film adaptation of Jim Carroll’s novel The Basketball Diaries. 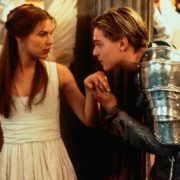 In 1996, Leonardo and Claire Danes appeared in Baz Luhrmann’s Romeo + Juliet. The film is an interpretation of the tragedy Romeo and Juliet by William Shakespeare, but the action of the play took place in modern times. 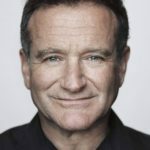 Later, he again played with Robert De Niro in the family drama Marvin’s Room, in which he played the role of a difficult teenager. Diane Keaton and Meryl Streep also starred in the film. However, the film Titanic directed by James Cameron brought him worldwide popularity. The film became a major cultural event of the year and received 11 Oscar awards. 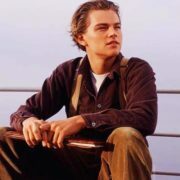 Thanks to his role in Titanic DiCaprio became one of the highest paid actors in Hollywood. 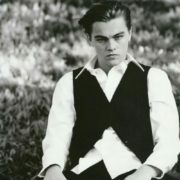 In 1997, he was in the list of the 50 most beautiful people in the world by People Magazine. 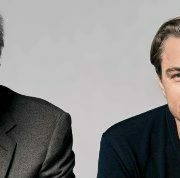 In 2002, Leo played in Steven Spielberg’s criminal tragicomedy Catch Me If You Can, based on the biography of Frank Abagnale who is known for his audacious crimes committed as early as 1960. The film was shot in 147 different places. 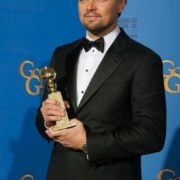 Leo received his third nomination for Golden Globe. 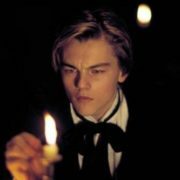 Also in 2002, DiCaprio starred in Martin Scorsese’s film Gangs of New York. 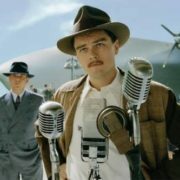 His next film The Aviator about American businessman Howard Hughes was a huge success. 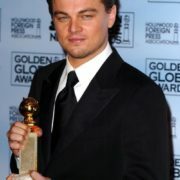 Leonardo won his first Golden Globe and was nominated for Oscar. 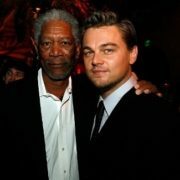 In 2006, Leonardo starred in two films – Blood Diamond and The Departed. 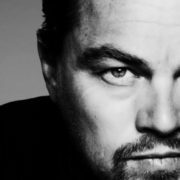 DiCaprio received another nomination for Golden Globe and Oscar. 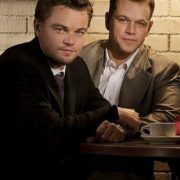 In the film The Departed Leo played with Matt Damon, Jack Nicholson, Martin Sheen and Mark Wahlberg. In early 2008, DiCaprio starred in Ridley Scott’s Body of Lies based on the novel by David Ignatius. 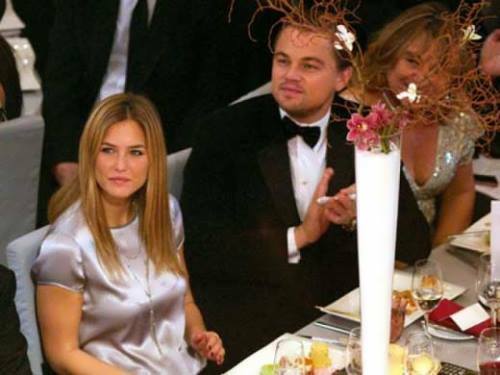 In the same year, Leo reunited with Kate Winslet in the drama Revolutionary Road. 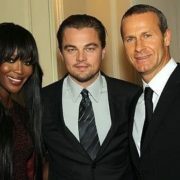 Leonardo received one more nomination for Golden Globe. 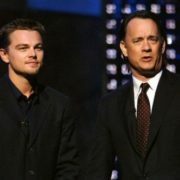 In 2010, he again worked with Martin Scorsese on the psychological thriller Shutter Island, the film adaptation of the eponymous novel by Dennis Lehane. 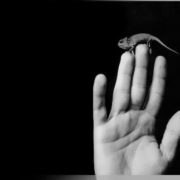 In the same year, Christopher Nolan offered him a role in his sci-fi movie The Beginning. 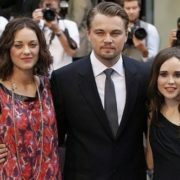 On November 1, 2010 DiCaprio’s company bought the film rights of the film based on Eric Larson’s novel The Devil in the White City. The book tells the story of a serial killer Henry Howard Holmes, responsible for the death of many women during the World’s Fair in Chicago in 1893. 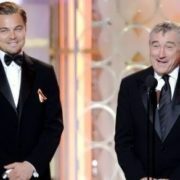 Leo also said that he would perform the role of a serial killer. 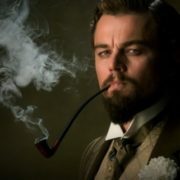 In 2012, Quentin Tarantino offered DiCaprio role in his spaghetti-western Django Unchained. 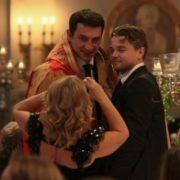 Leo agreed and played a villain for the first time and received the ninth nomination for Golden Globe. 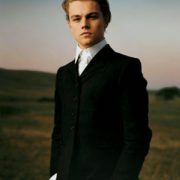 A year later Leonardo accepted Baz Luhrmann’s offer to play in film adaptation of Francis Scott Fitzgerald’s novel – The Great Gatsby. 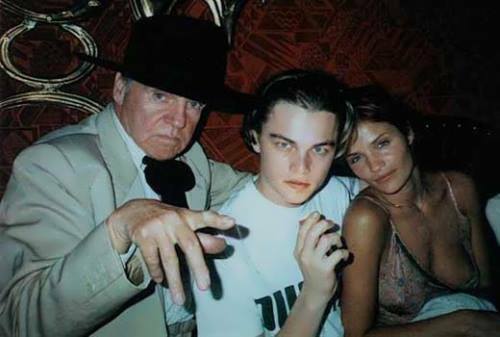 Leonardo returned to Scorsese and starred in his new film The Wolf of Wall Street. 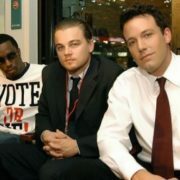 It was the fifth joint work of Scorsese and DiCaprio. For this actor’s work, he was awarded the second Golden Globe, as well as re-nominated for Oscar and BAFTA. Since the autumn of 2014, DiCaprio starred in the film The Revenant which was released at the end of 2015. 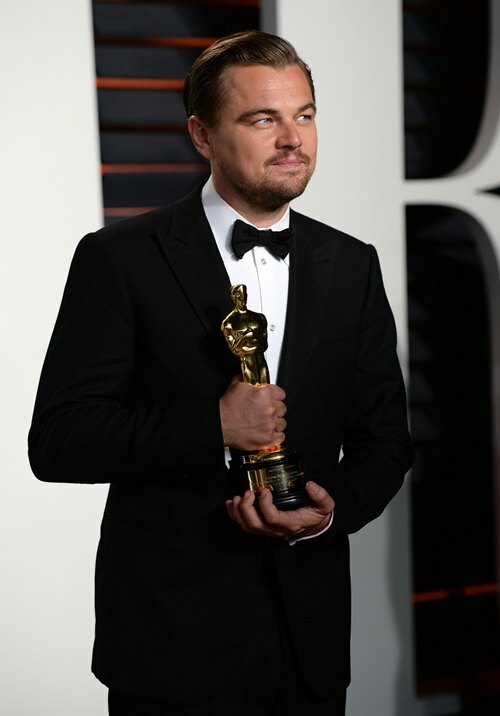 On February 28, 2016 DiCaprio was awarded Oscar. 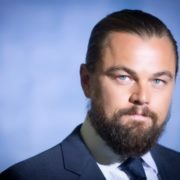 On January 19, 2016 Leonardo received the Crystal Award at the World Economic Forum in Davos (Switzerland) for his contribution to the protection of the environment. 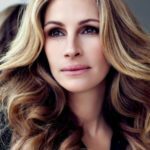 In 2013, the actor became a co-owner of a racing team Venturi Grand Prix Formula E Team to participate in the Formula-E. 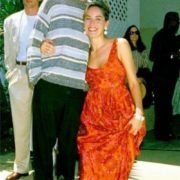 In 1994, he had a relationship with supermodel Bridget Hall. 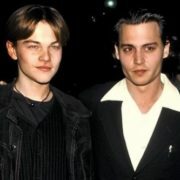 On the set of the film The Basketball Diaries he had a love affair with Brittany Daniel. 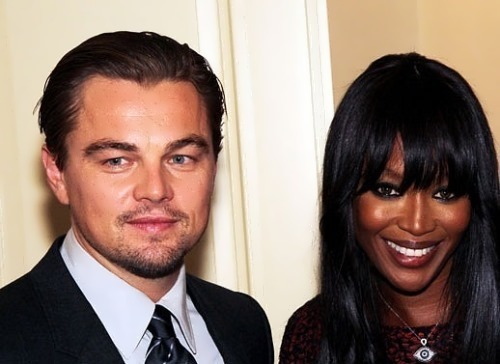 In 1995, he briefly had a relationship with Naomi Campbell. 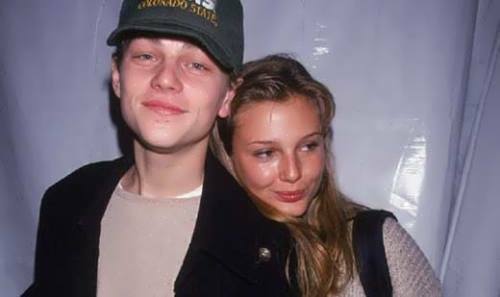 In 1995-96 Leo was in a relationship with Claire Danes. They met on the set of the film Romeo + Juliet. In 1996-97 DiCaprio had an affair with Kristen Zang. 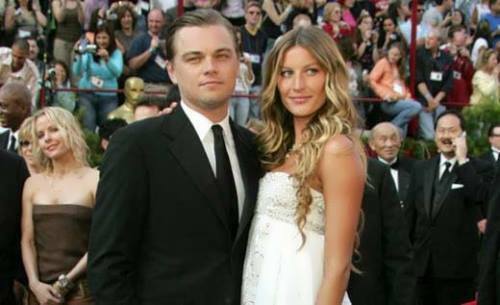 In 1997, Leonardo dated Danish model Helena Christensen, from 2000 to 2005 he had a relationship with Brazilian model Gisele Bundchen, from 2006 to 2009 he was together with Israeli model Bar Refaeli. 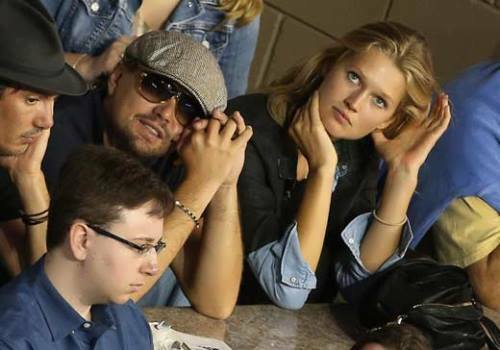 On March 26, 2010 DiCaprio and Refaeli announced the break up. 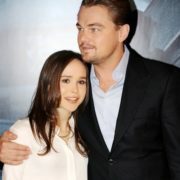 Since the summer of 2010 Leo and Bar began dating again but in May 2011 it was reported that they finally parted. 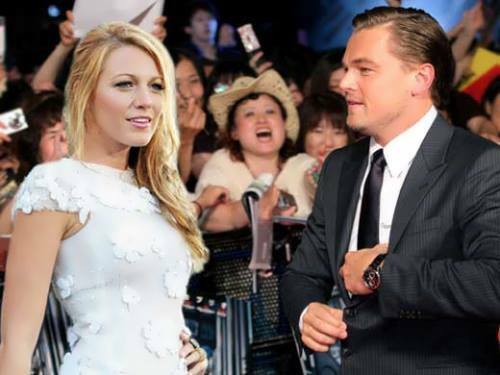 In 2011 he dated actress Blake Lively. 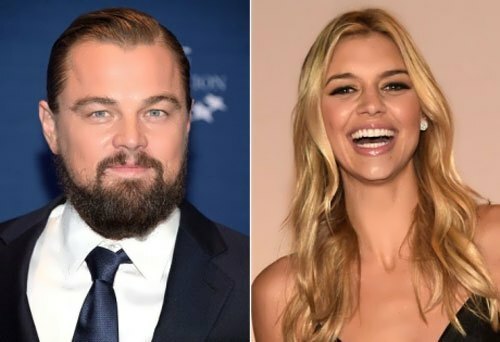 In December 2011 it became known that Leo started dating model Erin Heatherton. However, in November 2012, the pair announced the break-up. In May 2013, the actor started a relationship with German model Toni Garrn. In May 2015 it became known that the new girlfriend of Hollywood star was model Kelly Rohrbach. 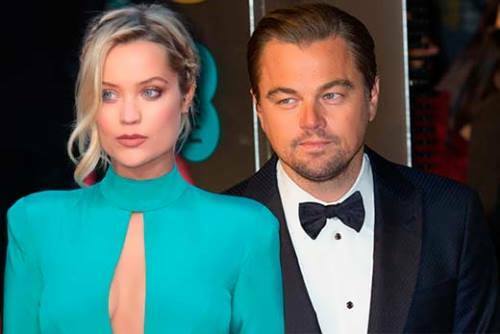 In February 2016, DiCaprio actively courted British TV presenter Laura Whitmore. 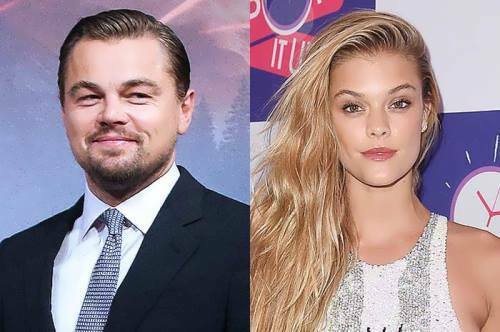 Since the summer of 2016 DiCaprio has relationship with Danish model Nina Agdal.